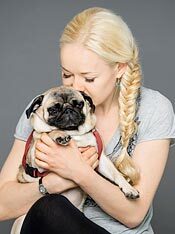 As a veterinarian (Lise Rovsing) at my clinic “Dyreklinikken Artemis” , artemis.dk , in Denmark, I often get calls from people in panic: “My dog just ate a piece of broken glass” or “my dog just went through the garbage and ate bones from a chicken carcass”. Both things are sharp and could potentially damage the dog’s stomach and intestines. Dog owners often first notice this a while after the crime has been committed. Give the dog asparagus from a can! 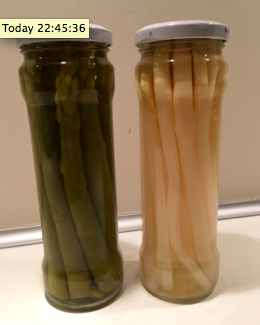 I prefer the white sort of “pickled” ones, they are long, soft and slippery …The fibres in the asparagus will wrap around the foreign object (a piece of glass or bone) and thereby, in the best case, prevent it from damaging the stomach and intestines. If the situation is urgent: Force the asparagus in the dog’s throat, perhaps while adding water in the mouth through a disposable syringe to make sure the dog actually swallows it. to ensure that the dog swallows it. You can also cut the asparagus into smaller pieces and add paté or gravy, which the dog will likely find tastier.